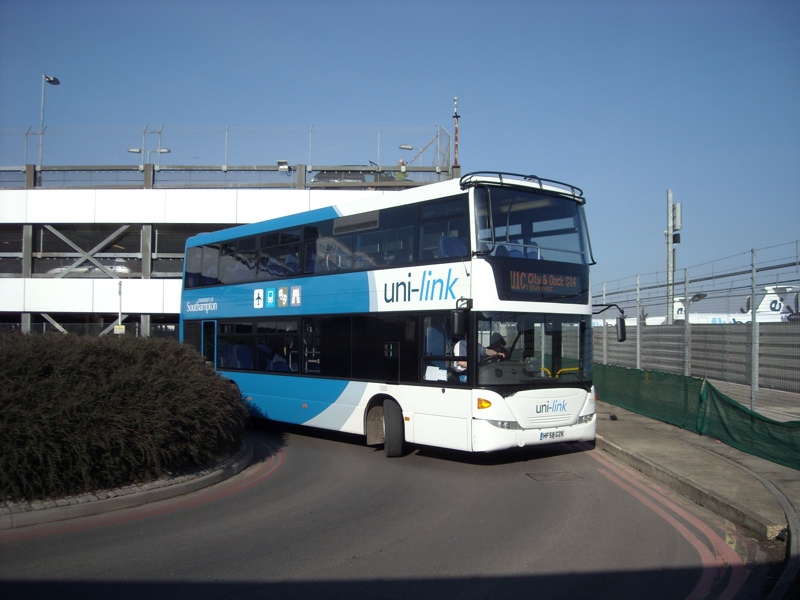 Go-Ahead has recently heavily invested in its south coast companies, by placing over 60 new Scania OmniCity double deckers in service in Southampton and Isle of Wight area fleets. These have displaced time expired Optare and Olympian vehicles and have brought a touch of Polish flair to gentle surroundings. 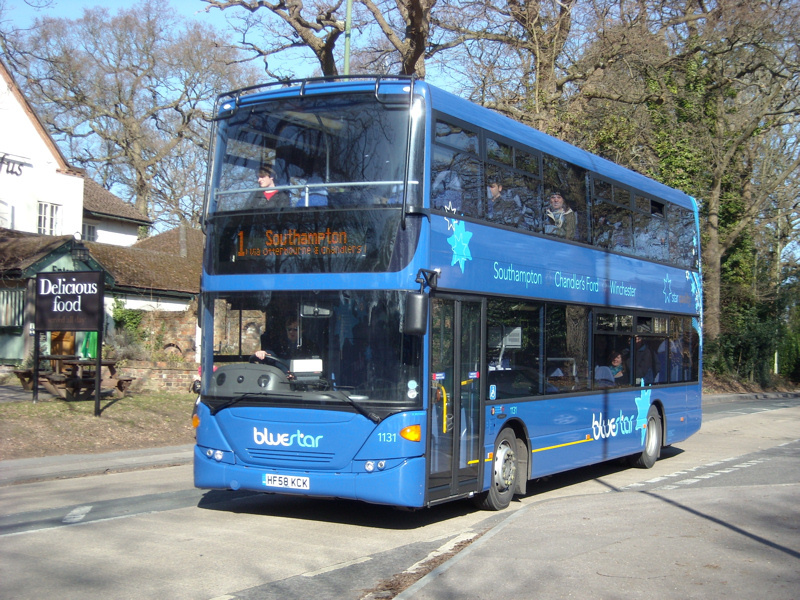 The vehicles are spread far and wide - Wilts & Dorset have received two sizeable batches which have enabled high profile routes such as the X3 Salisbury to Bournemouth service (above) and Activ8 Salisbury to Andover route (below left) to be re-branded and upgraded. 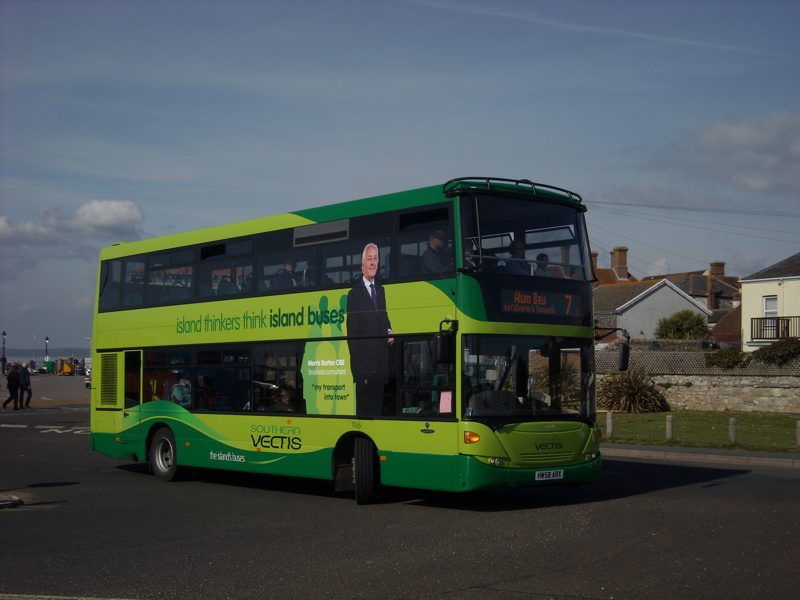 Southern Vectis on the Isle of Wight equally have two large batches which can be seen everywhere on the island (middle left). 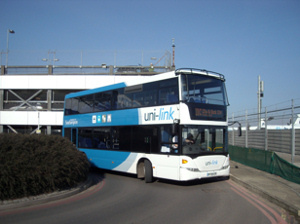 Finally Solent Blue Line, now called Bluestar, have vehicles for the Southampton to Winchester route (top left) and their recently won Unilink services (lower left). 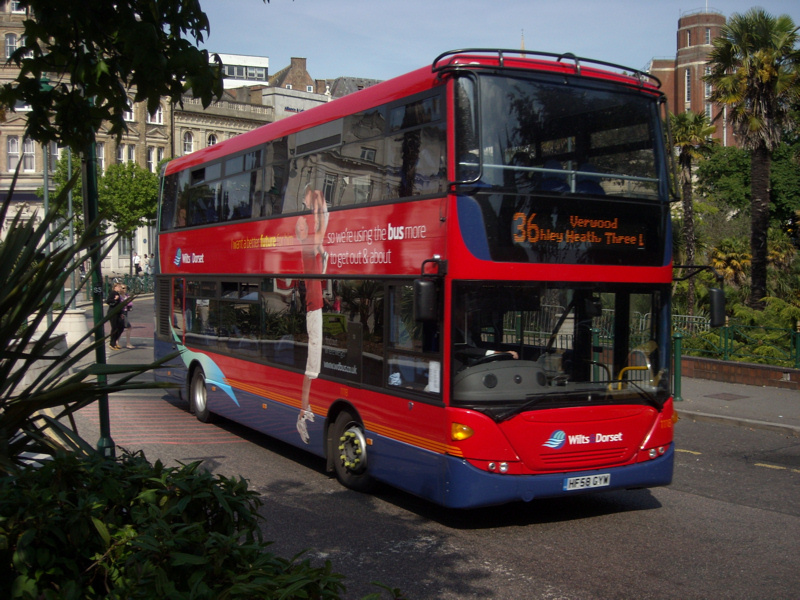 Not to be outdone, Brighton & Hove have over 20 vehicles for high profile routes such as the 5 (below right). 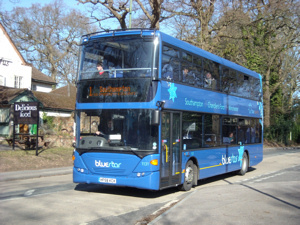 Bluestar 1131 (HF58KCK) seen north of Southampton in February 2009. 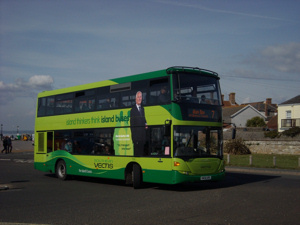 Southern Vectis 1106 (HW58ARX) at Yarmouth ferry terminal in April 2009. 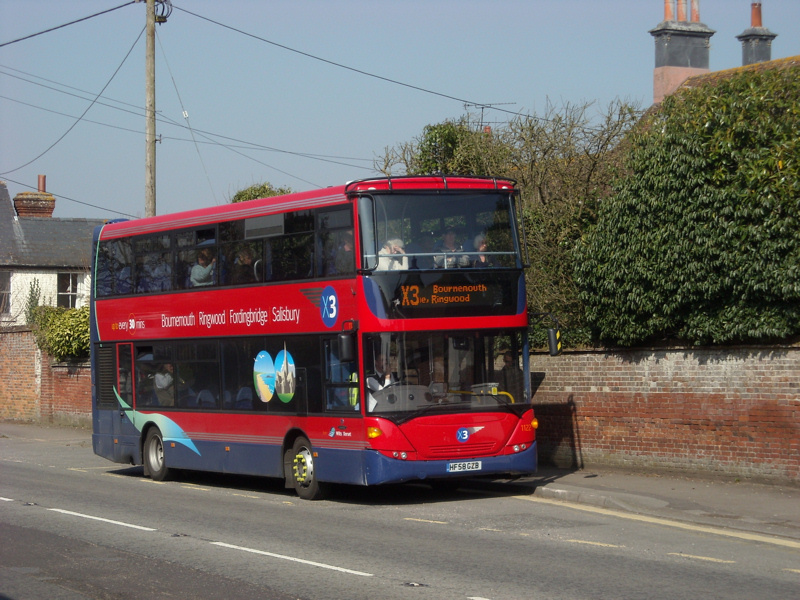 Wilts & Dorset 1122 (HF58GZB) north of Fordingbridge heading for Bournemouth from Salisbury on the X3 in March 2009. 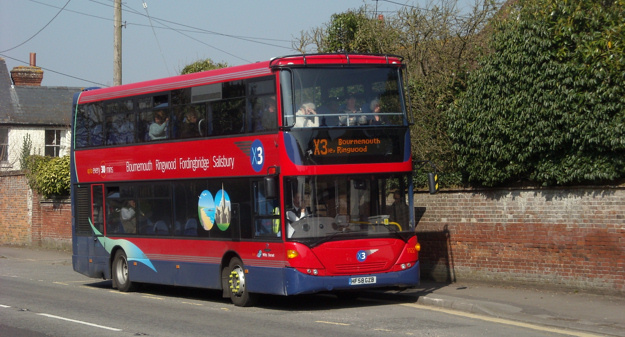 Wilts & Dorset 1134 (HF09BJ) leaving Amesbury bus station on the Salisbury to Andover route in March 2009. 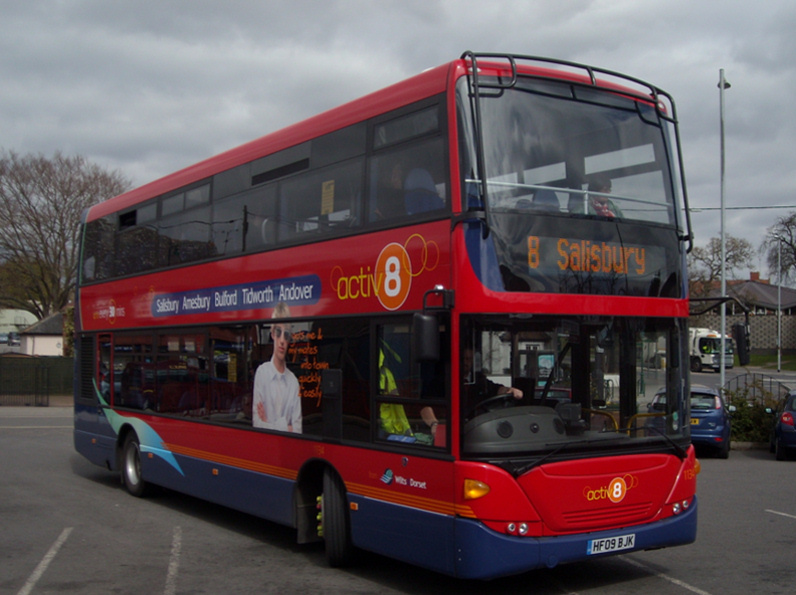 Stagecoach has already upgraded their vehicles on this service a couple of years ago. A Wilts & Dorset Omni Scania races past Tidworth camp en route from Andover to Salisbury one evening in March 2009. 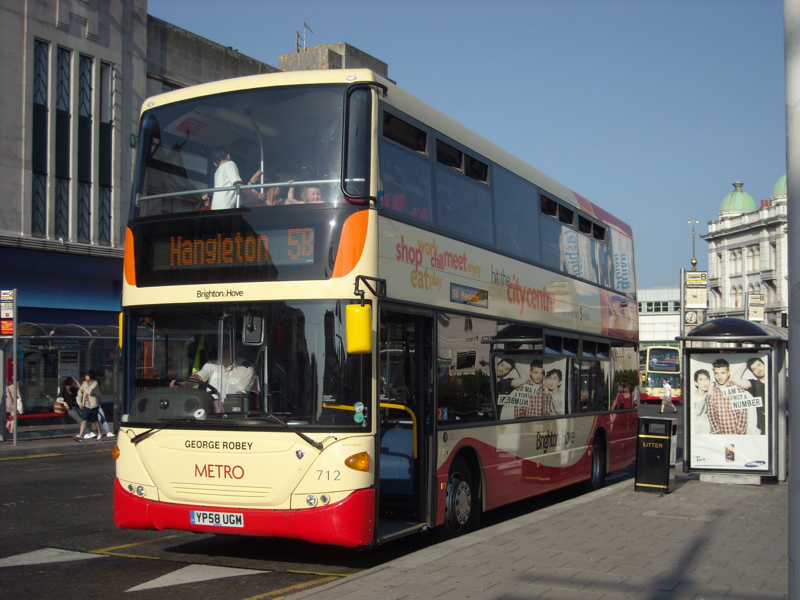 Wilts & Dorset 1118 (HF58GYW), one of the non route-branded vehicles, in Bournemouth in June 2009. Brighton & Hove 712 (YP58UGM) on the late May Bank Holiday weekend in 2009.